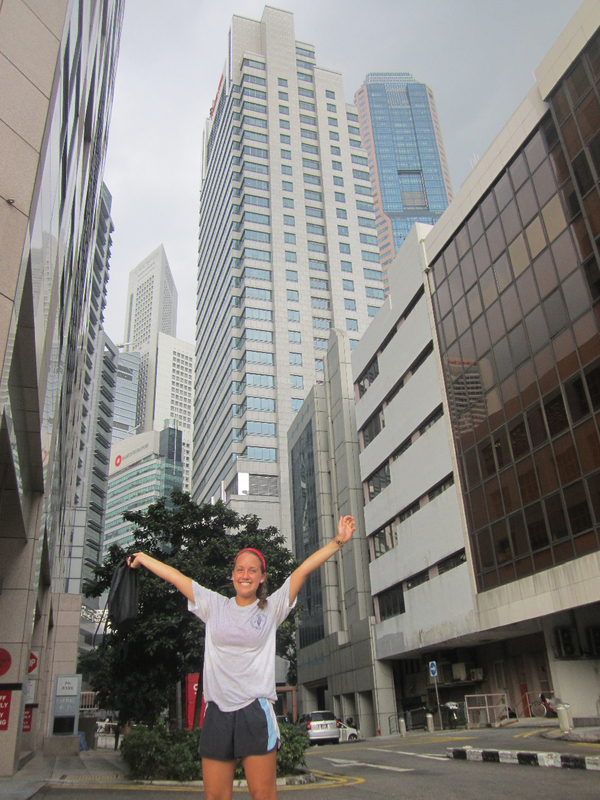 You are here: Home » Global Ambassador » A Single Day in Singapore! A Single Day in Singapore! I started my day off with an awesome little hike in the rainforest. 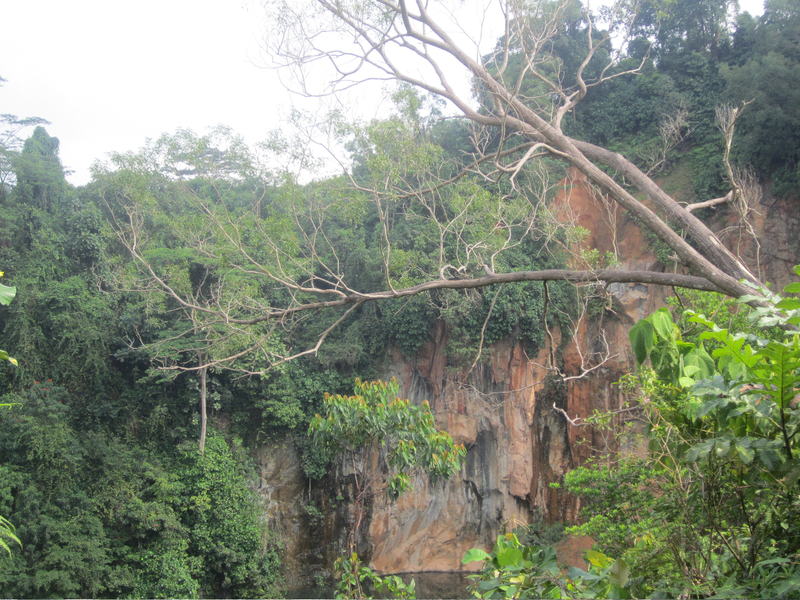 We went to Bukit Timah Nature Reserve and Bukit Batok Nature Park. 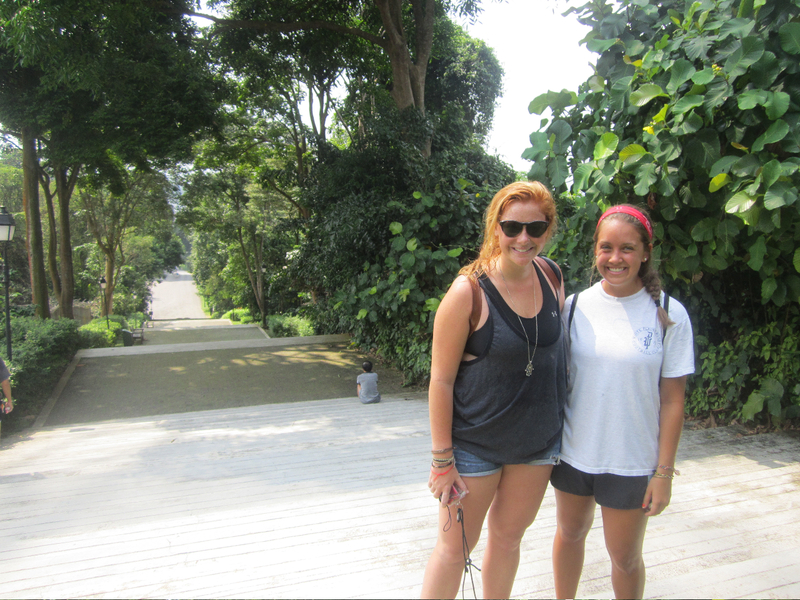 We hiked up to the highest natural point in all of Singapore…it wasn’t that high, but it was awesome! Nothing like a good morning hike 🙂 We got to see some crazy lizards and weird looking birds! After our lovely outdoor activities, it was time to the see the big buildings and crazy architecture. 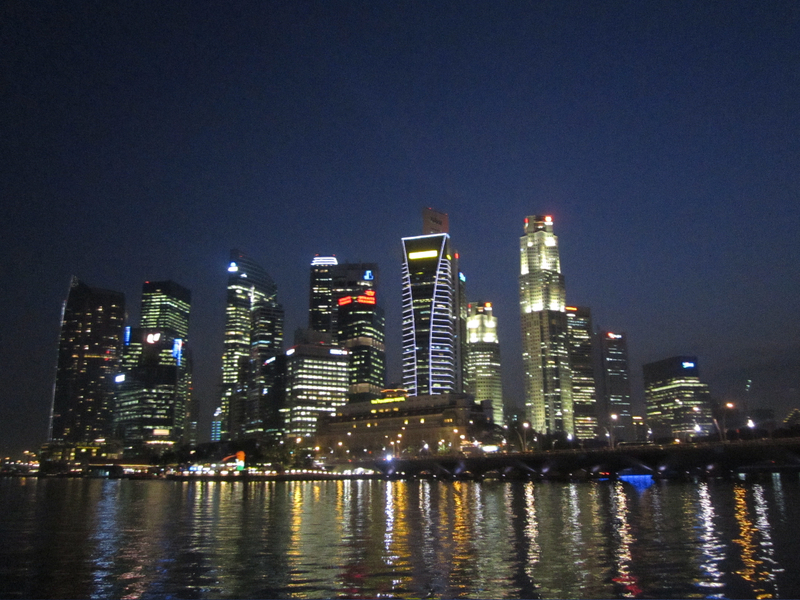 For those of you who didn’t know-Singapore is a city that is also a country- fun fact! The other cities that are also countries are the Vatican City and Monaco. Singapore is a also a very, very strict country. It is illegal to chew gum, it is illegal to jaywalk, it is illegal to be homosexual, and the list could go on and on. One local that we were talking to told us that he was not allowed to move out of the country until he was 50. It is required that all men serve for 2 years in the military, and the government takes 20% of his paycheck every month and puts it into something like a mandatory savings account which he can’t access until a certain age. At that point, he can only use it towards certain things like a house. I found this all to be very interesting- imagine living in a place with these kind of rules. We took the metro around all day, it was great- so well organized, it had air conditioning, and I felt like I could eat food off the floor it was so clean. After our hike we walked around the downtown area. We snuck into a hotel and took the elevator all the way to the top floor to see the view and then we snuck into the pool area and took a nice swim! That was probably a bad idea…if we got caught who knows what the punishment would have been there! Then we walked all around the downtown area. We stopped and got ice creams…twice…don’t judge me. Very interesting- there are little carts on the streets and you tell them what flavor you want, then they take this huge block of ice cream (like the size of a loaf of bread) and they cut you a giant chunk, grab two waffers, stick them on either side, and there ya have it- a handmade ice cream sandwich in under 30 seconds…delicious! Singapore is made up of 42% foreigners…wow! So there is a huge mix of cultures, languages, and ways of life. 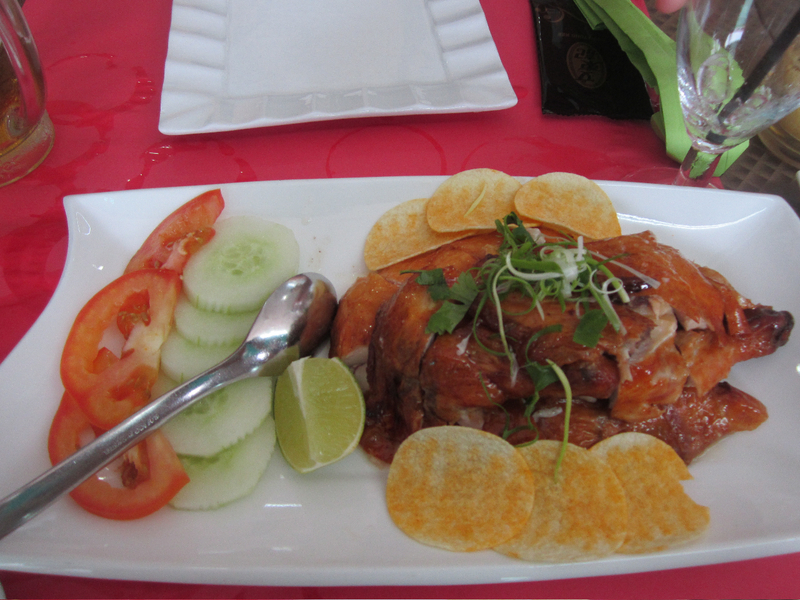 You could get any kind of food you want for lunch…I got a chicken…yum. We went to a Hawker Center…think supersized food court…with better food. You order a bunch of different things from all of these different stands and then they bring them all to your table…fun concept! We tried Tiger beer…good stuff. After lunch we got caught in a huge thunderstorm and had to run around the city soaking wet. We went to China Town and then we went down to the Marina area. The buildings and architecture here are BEAUTIFUL! The amount of creativity and design that go into them is incredible. We had to be on the ship at 8:30, so of course we wanted to see the skyline at night, we waited until the last second to get back to the ship, and we had to sprint through immigration and we made it on at the last second…literally. We’re off to Vietnam in 2 days….ah!! I am 12 hours ahead of east coast time, half a day, that is wild.